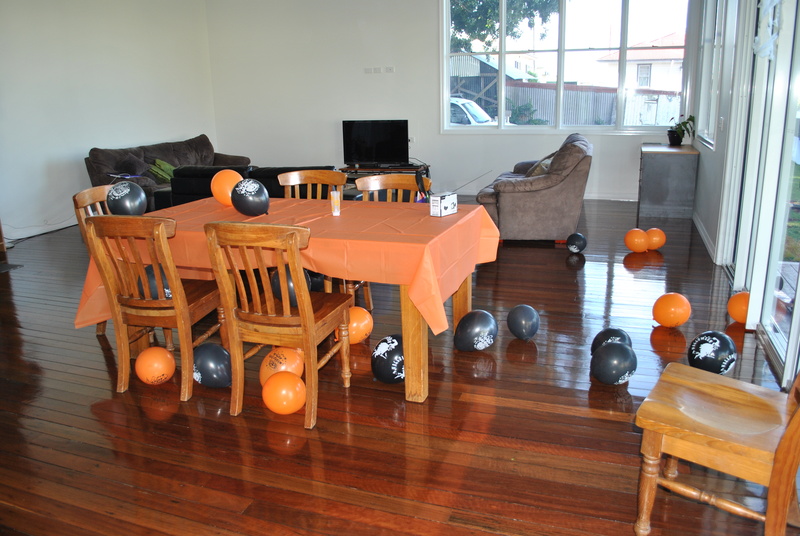 So it’s Halloween night in Australia. 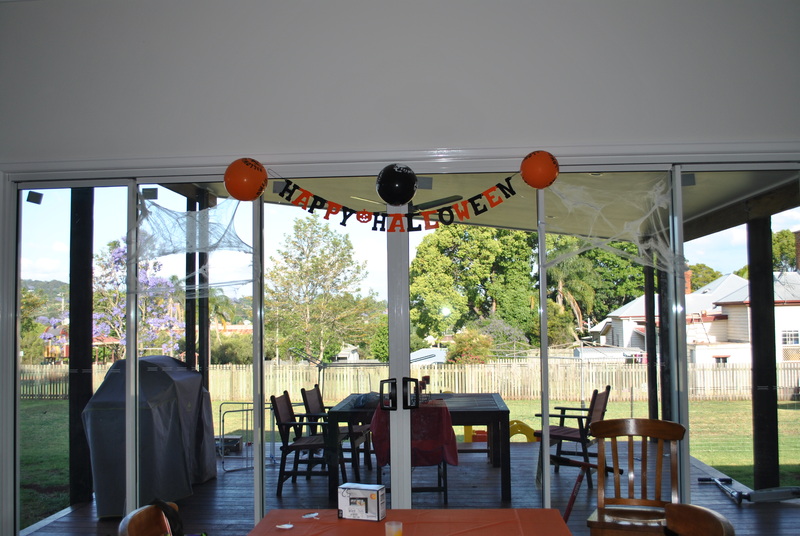 Halloween is not big at all here in Toowoomba. It is supposedly growing in popularity in the larger cities like Brisbane but in Toowoomba, which has 150,000, it is still pretty under celebrated. 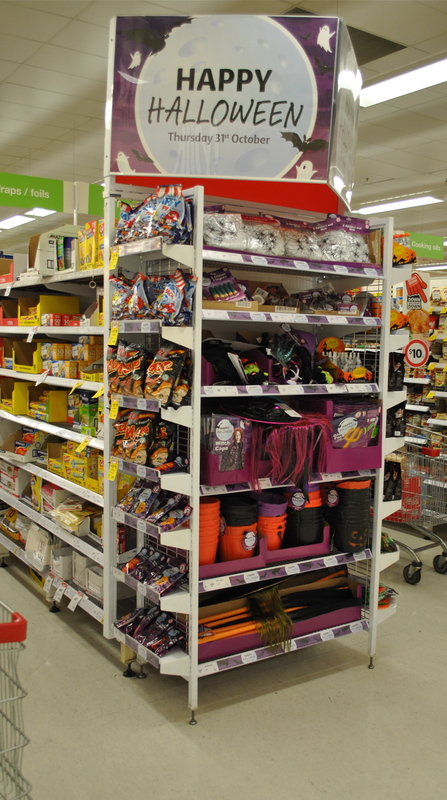 When I went to the grocery store, the entire store had approximately six shelves of halloween items and that was pretty common for Halloween displays. The family I am nannying for actually has never done Halloween. Can you imagine being 12 and never having gone trick or treating?!? 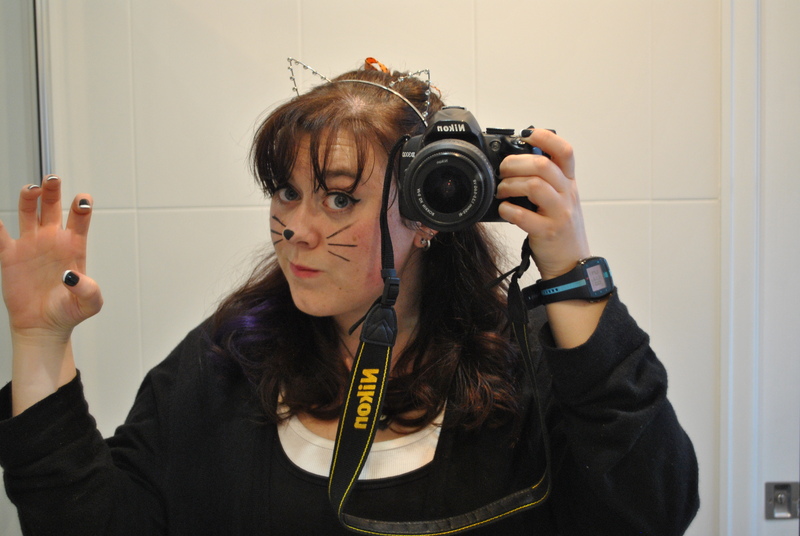 Clearly, I saw this as my opportunity to bring the Halloween spirit to Australia. The kids, knowing I was a huge fan of Halloween, actually bought costumes before I even arrived, anticipating that I would want to do something. 1 witch and 2 vampires. The few packaged costumes were all pretty standard like that. 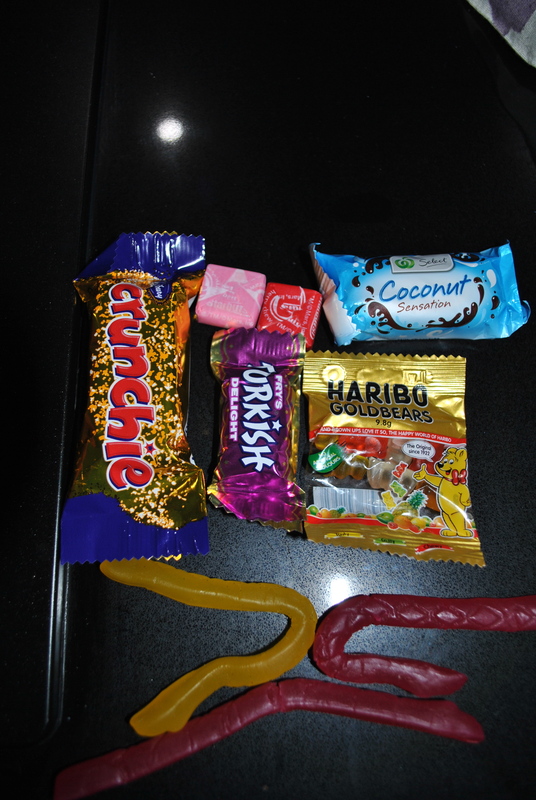 As you’ll see from the photo above, there wasn’t much selection. I wanted to get the kids pumped for Halloween as best I could though. There was rumors that one street was going to have trick or treating so we decided to make our own trick or treating bags. In hindsight, these bags were entirely too big for the goodies we got but I like how they can reuse them if they want for trick or treating or other things. 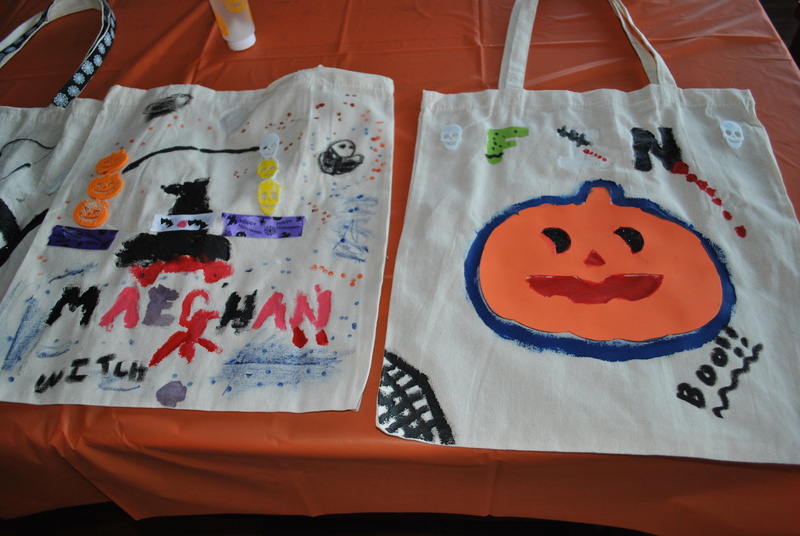 Check out our super fun creations! The kids took 1-2 hours to work on. I took 2 days (all the bags have a front and a back decorated). I’m so pokey! 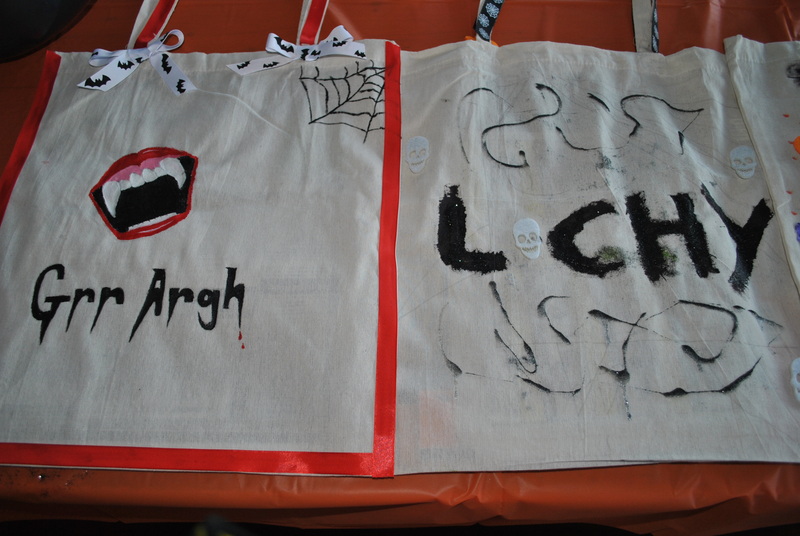 So, this morning, we had our bags made and our costumes out and the kids were stoked! 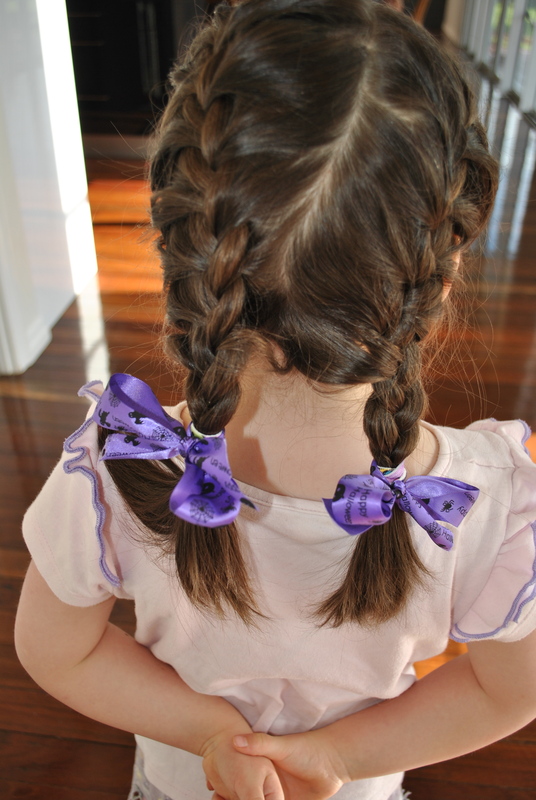 I broke the dress code of the childrens’ catholic school by sending the 5 year old off with Halloween ribbons in the braids I did for her. Rules be damned! It’s Halloween!! I did this while the kids were in school. 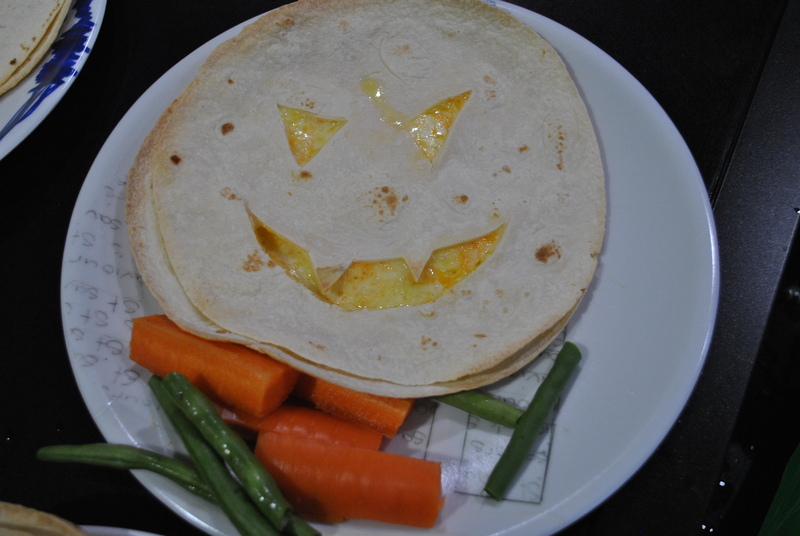 I was also in charge of dinner tonight (for the first time) because I wanted to do a Halloween theme. This was a bit more difficult than I thought it would be because 1. I could not find canned pumpkin anywhere. So that eliminated most of what I wanted to do (ie: pumpkin shaped pumpkin pancakes (I also couldn’t find a pumpkin cookie cutter), pumpkin burgers, etc), and 2. even if I could find canned pumpkin, the kids don’t like pumpkin or squash flavored things (side note: Aussies call most squashes pumpkins, like Butternut Pumpkin or Japanese Pumpkin, etc. Very weird). So, I got creative! 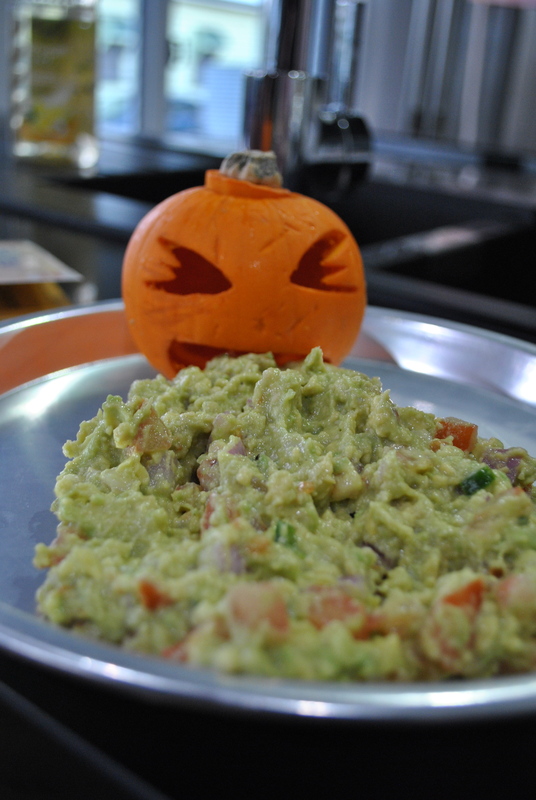 We had Quesadilla Pumpkins (they’d never heard of a quesadilla) and Guacamole with a side of carrots (the only orange, non-squash veggie I could find). I think it came out cute! That little pumpkin was a HUGE pain to carve cause the inside was stringy like a spaghetti squash. I definitely wasn’t expecting that! The kids loved the food though, especially the “pumpkin vomit”. We had to take the chips away so they would eat their veggies. I’m pretty sure that’s how much candy I get from the bowl at my house usually! LOL! This post was a lot longer than I anticipated so I will post my alternative cheese quesadilla recipe tomorrow. How fun!! Looks like you did an awesome job and gave the kids a night to remember.